If there's one thing you're going to invest in, invest in a versatile, black leather handbag that is good quality and light weight. Marc Jacobs has been one of my favorite designers for as long as I can remember and when I got this bag in high school, I was crying tears of joy. (Yes I was spoiled and I knew it.) The designer's sleek designs are nothing short of eye-catching. So many friends of mine have purchased this exact bag that I'm wearing and they can all attest to its greatness. It seriously goes with every single outfit and it is such amazing quality! I've had mine for over six years, use it almost daily, and it still looks brand new! It's magical I tell ya. Love the layers. Great outfit. Love how you layered on top! 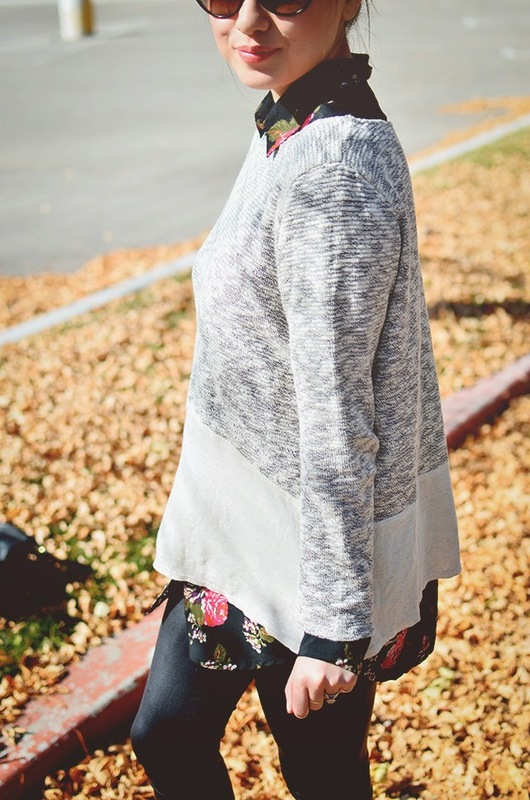 Soel is my faaaavorite for cute pieces like that sweater! 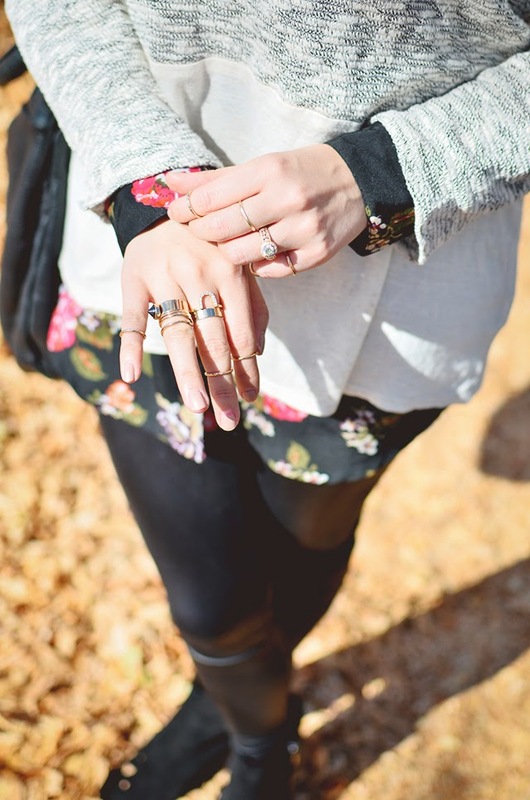 Love the pop of floral for Fall! 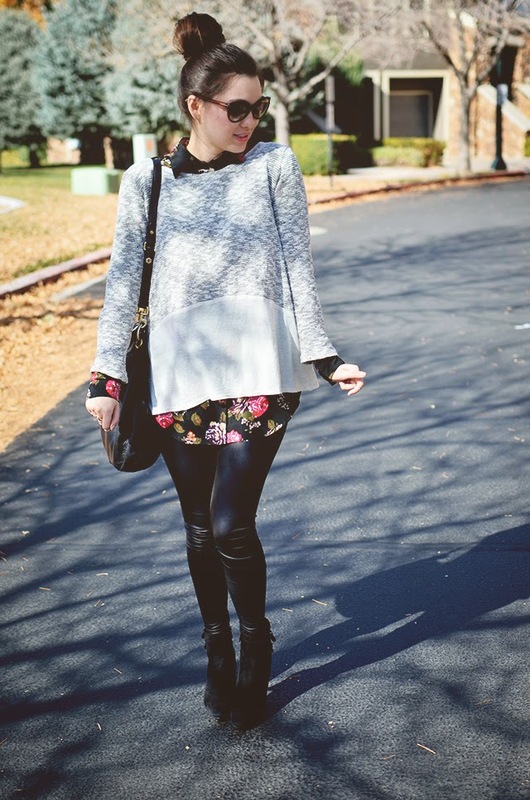 So cute with the leather leggings!